Al Jazeera’s journalist Mahmoud Hussein completes two years in Egyptian prison without charges, trial or conviction, on Sunday. Hussein’s detention is now in violation of both Egyptian and international law, with the former setting 24 months as the maximum period for pre-trial detention. Egyptian authorities have repeatedly renewed his detention, most recently on December 3, for another 45 days. 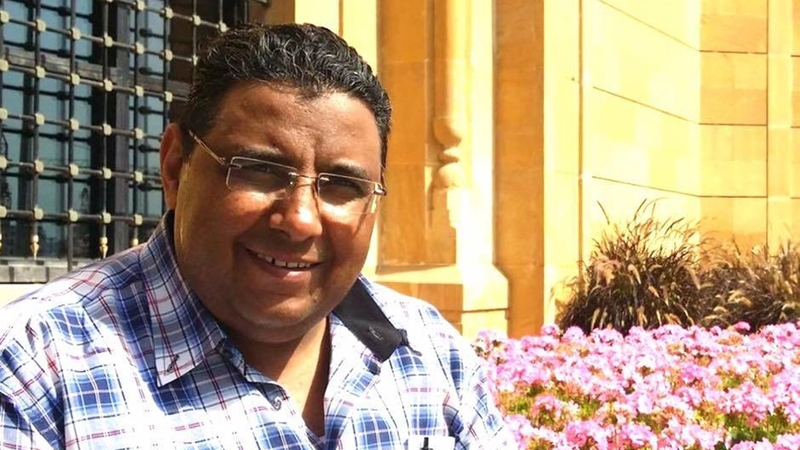 Egypt has accused the Qatar-based news producer of broadcasting false news and receiving foreign funds to defame state institutions, but he is yet to be formally charged. Hussein’s detention has already breached Egypt’s penal code, since he has been held for more than 620 days, the maximum period permitted for an individual being investigated for a felony, without a trial. Authorities should have either released Hussein or referred him to court. Hussein was detained on December 20, 2016, by Egyptian authorities upon his arrival in Cairo for an annual vacation to visit his family. Three days later he was officially arrested. It is deplorable that Mahmoud is completing two years of detention for no crime other than being an Al Jazeera journalist travelling to his home country to visit his family and loved ones. Marking Hussein’s two-year detention, Al Jazeera Media Network’s Acting Director General, Mostefa Souag, said “Today is a sad day which we hoped would never happen. It is deplorable that Mahmoud is completing two years of detention for no crime other than being an Al Jazeera journalist travelling to his home country to visit his family and loved ones. In 2013, Egypt also arrested and later imprisoned Al Jazeera’s Abdullah Elshamy, Baher Mohamed, Mohamed Fahmy and Peter Greste on charges of spreading “false news”, in a case that was widely condemned by international media outlets and many politicians.